For dry fish lovers, it’s strong smell is a pleasant flavour. For dry fish haters, it is a pungent odour! I belong to the former group!! Dry fish boosts breast milk. 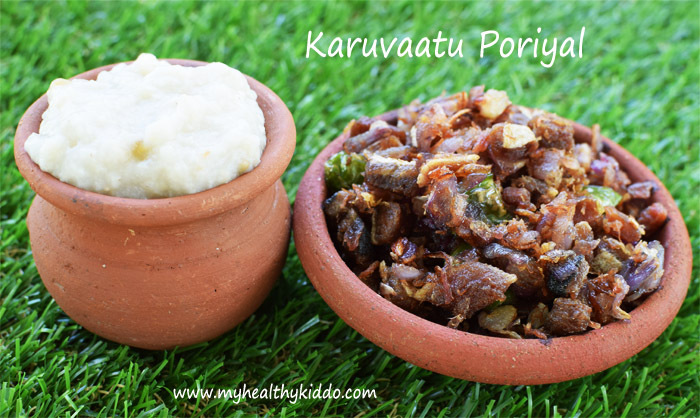 When accompanied with Millet porridges, it is a complete meal for feeding moms. 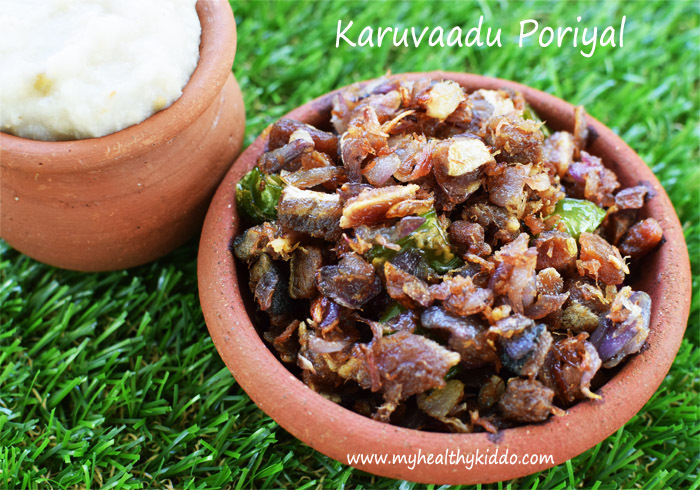 Click here for karuvaadu kuzhambu(dry fish gravy) recipe. Persons with hypertension(High BP) please excuse as dry fish has more salt in it. 1.Mix turmeric powder in hot(not too hot) water and soak dry fish for half an hour to 1 hour. Wash each dry fish by rubbing them with your fingers to remove dirt/sand. Wash well for 3 to 4 times. 2.Cut dry fish into small pieces. Chop small onions and green chillies. 3.In hot oil, add dry fish pieces and fry well in medium flame. Stir intermittently and make sure it is cooked/fried well. 4.Transfer fried dry fish to a plate. Add some more oil to the same kadaai. Add chopped onions and green chillies. 5.Fry till onions turn translucent. Add fried dry fish, mix well for a minute and switch off. Do not add salt as dry fish will have more salt in it. Add more onions and green chillies as per your liking. You shall add curry leaves while adding onions. Actually, no seasoning is required for dry fish. 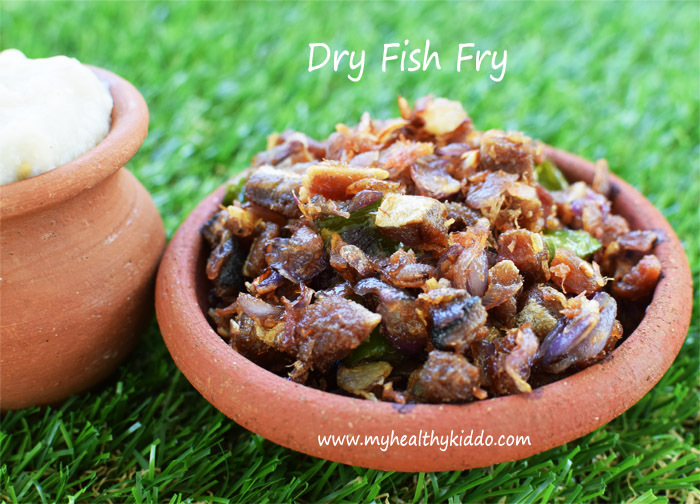 Mostly, all type of dry fishes can be fried in the same manner.